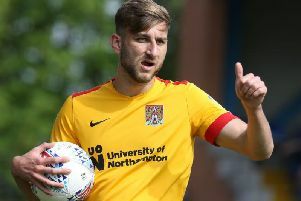 Cobblers make the short journey to Cambridge United on Saturday where they resume their League Two campaign against Colin Calderwood's side. We'll have all the build-up, in-game updates and post-match reaction as it happens on this page. Hit F5 or refresh for the latest news from the Abbey Stadium.